Nicknamed “The Worlds Finest Bourbon”. Created by Jacob Beam in 1795, it is the drink of six generations of distillers. Made from the high quality ingredients, Jim Beam Bourbon Miniature has a full bourbon character and a rich American heritage. Nicknamed “The Worlds Finest Bourbon”. Created by Jacob Beam in 1795, it is the drink of six generations of distillers. 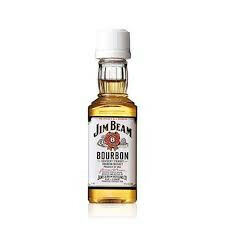 Made from the high quality ingredients, Jim Beam has a full bourbon character and a rich American heritage.